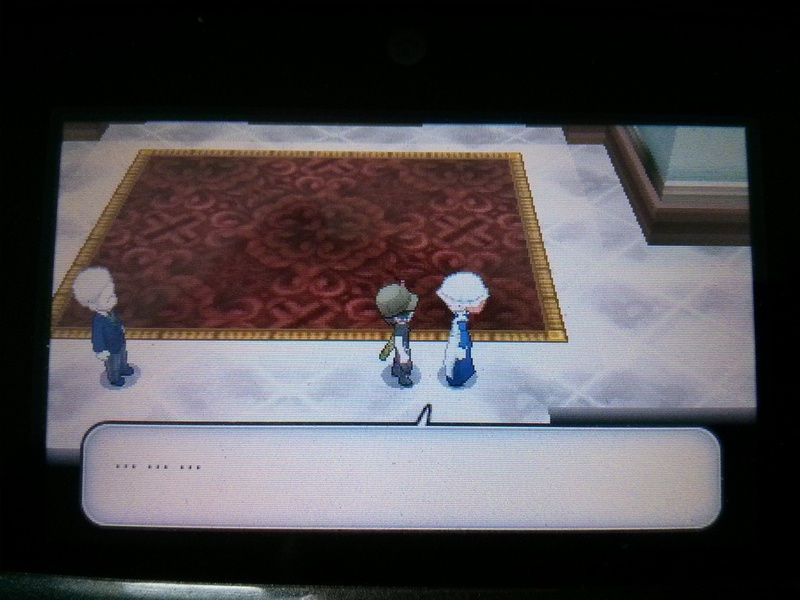 Pokémon X and Y add a fascinating new feature to the series. It’s a game changing idea, one that totally changes the way I perceive the world that the game presents. It’s not the full 3D battles with a dynamic camera, it’s not the brand new fairy type, it’s not the ability to fully customize your trainer, it’s not even the fact that Pokémon names can be up to ten letters now, allowing me to nickname my Gyarados “Skullkraken”, as God and President Obama intended. No, the game changing feature is tipping: the ability to tip buskers, waters, and any number of NPCs who offer you small services. Stay with me here, I promise it’ll start making sense in a moment. Occasionally in Pokémon X and Y, you’ll come across a wandering minster who will offer to sing you a song, or you enter a café and a waiter seats you. Maybe you just asked a maid to assist you in sending out a battle request, or found a poor Pokémon with a sign around its neck saying it needs money for a trim. After interacting with them, the game will ask if you’d like to top them, in denominations of either 100 pokédollars, 500 pokédollars, or 1000 pokédollars. Assuming that’s equivalent to Yen, we’re looking at a $1 tip, a $5 tip, or a $10 tip. Here’s the kicker though, tipping doesn’t do anything. It doesn’t increase your stats, no one mentions it, and all that happens is that you’re out a couple of bucks for what would have otherwise been a free service. It’s weird in a videogame context. Mechanically speaking, videogames tend not to have wasted parts. Everything means something, otherwise a developer spent hours slaving away on something players would find pointless, when they could otherwise spend their time working on things that would enhance the game in general. There are exceptions to the rule, but even those tend to prove it, in a way. Open world games like Grand Theft Auto and Saint’s Row have plenty of “pointless” areas, but they exist to enhance the open world. An area that isn’t used in a quest line has purpose if it’s there to create the feeling that the world is more real. So, because everything in a game has purpose, the savvy gamer has been trained to expect results from almost everything in the game world. Thus, the first time I tipped, I expected some invisible generosity stat to tick upwards until it hit max and I got a free Pikachu wearing a party hat or something. Instead, I didn’t get thanks, no one ever mentioned it again, and according to the internet, the game doesn’t even track it. It literally does nothing. So why have I been tipping every single NPC who asks? It started pretty simply. I was expecting something to come of it. I thought tipping would increase my catch rate, or EV rate, or somehow influence an obscure stat with a byzantine equation drawing from my average tip amount combined with my tipping frequency. Then, I realized it wasn’t doing anything, and I didn’t’ tip a maid after asking her to send out a battle request for me. And then she sassed me. That’s right, a wall of dots. Her unvoice-acted silence was deafening, so much so that I spoke to her again, and gave her a tip that time. And then I continued giving everyone else tips, because I felt guilty that a fake person was angry because I didn’t give them fake money for their fake service. It’s ridiculous, but hear me out. I think it changed the entire game for me. One of my biggest problems with Pokémon has always been its lack of a cohesive world. To flesh out the things going on in this world and contextualize them as events happening in a fictional world with rules, I had to turn to other sources, like the cartoon and comics. I wrote an entire essay going into detail exclusively about the Pokémon world’s system of governance, just because I felt like it was one of the few things the game explained just enough as to make it seem insane. Obviously Pokémon has always had bigger problems. Balance issues crop up every few games, and the fact that, at its core, we’ve been playing the same game since 1998, are also problems, but as someone who’s always been way too into Pokémon, and far too interested in world building, the cohesive world thing has always pissed me off. I always wanted to know how people operated in this world. Do they eat Pokémon? Is all work centered on Pokémon? Are there Pokémon rights advocates? Why are they both slaves and celebrities? Do people have jobs? Is the Pokémon Center subsidized by the Pokémon League? And so on. 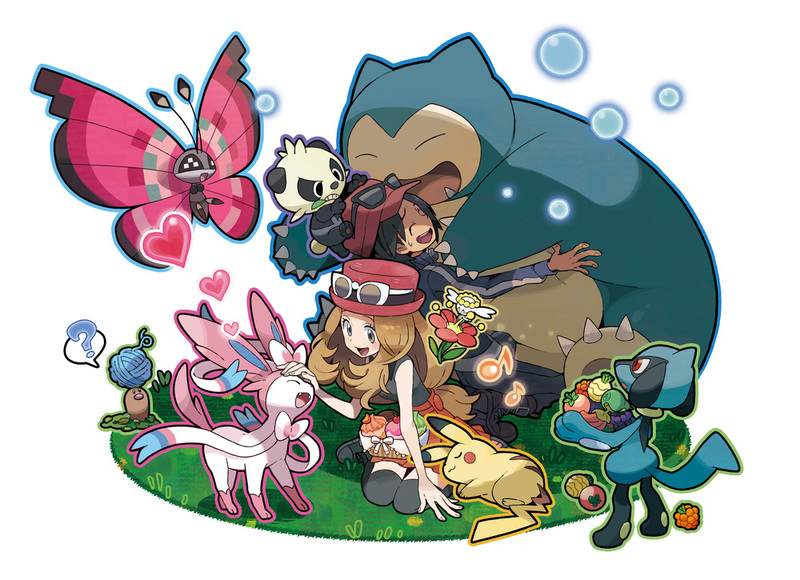 The tipping thing was the first moment that a Pokémon world felt real to me without any extra material in years. It was the first time my imagination was truly piqued. It was something pointless, something I do out of kindness and social convention in real life, but served no real purpose in this videogame. It made me poke around more and start talking to more NPCs, seeing if they needed tips, just so they could make their rent that week. It didn’t fill in any gaps, it just started making me ask more questions. World building is usually about presenting both a question and an answer to your audience. Even in something like Harry Potter, Rowling presents a question, how do Wizards get to school without being seen? And then she answers it by having an invisible train platform. Of course, she wisely doesn’t answer the question in full. A savvy reader asks if there are other invisible platforms, or invisible airport terminals, who built the platform, when? And the smart world builder leaves it at that. Those answers aren’t necessary to have a realized world, but the leaving some less important questions to be pondered by the reader makes for a richer world, personalized to them. Pokémon gave its incomplete answers, but the world lacked the fidelity to inspire the kind of questions world building needs. Sure, Red and Blue tell me that the Pokémon League is in charge of pseudo-government affairs, but since the world is so abstracted, I don’t really think about that too hard, at least not until years later when I stop and really consider that problem. Tipping in X and Y asks me a strange question. Do I give these people my hard earned pokédollars? It also asks and answers simpler questions, like how money is treated in this world for people who don’t need to buy pokeballs and hyper potions every day. But the most important question is if I’m going to tip. The answer is yes, because I’m interacting with them in a way that makes the world less abstract. I’m contributing to this weird economy, an undefined social construct. Something I don’t quite understand, but makes this fake world move. When writers and artists build worlds, one of their greatest tools are those aforementioned empty spaces. Those areas on a map that don’t’ serve any purpose but to make you feel like this is a vast world where not all your questions are answered. A world where things can be wasted and answers aren’t offered around every corner. But when it comes to an interactive world? Nothing is greater than convincing me to contribute to a system I don’t quite understand, to make me interact with these digital mannequins as if they were real people. It also means NPCs are no longer there for my benefit. Where before they existed only to talk about how much they love Pokémon, or point me in the direction of the next route, now they have an expectation that I give them something in return. NPCs feel just a little more real by opening that door. It’s a small thing, but world building is done in increments like that. Small touches of fidelity in the world do a lot, from the winding alleys in the game’s equivalent of Paris, to the NPC who mentions that cafes exist so people can debate views and opinions, like they did around the time of the French Revolution. It all adds up to a more fully realized, detailed world, and one that I explore with a real sense of wonder. I haven’t felt that way since I was a child playing Blue, and I’m so glad to be back in that world of imagination. So that’s why I tip every time. Part of it is guilt, sure, but part of it is a sort of gratitude. Thanking these NPCs for inspiring my imagination for the first time since I was a kid. Also, I’m still kind of hoping it makes it easier to find shiny Pokémon somehow. Just a little, at least.